A kindly tipster alerted us to the new teaser site for the Verizon building conversion at 435 West 50th Street in Hell’s Kitchen. JDS Development and Property Markets Group are co-developing Stella Tower, which will offer 51 one- to three-bedroom condominiums (earlier reports pegged the unit count at approximately 70). Pricing ranges from $1.5 million to over $9 million, according to the teaser site. 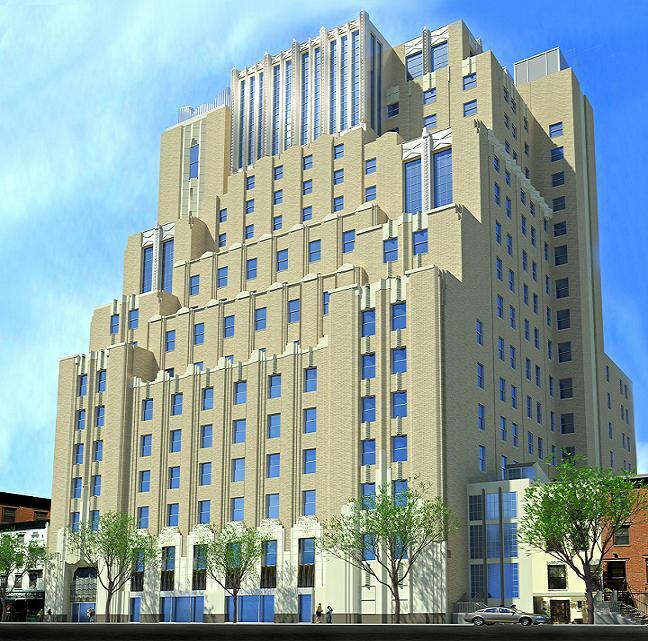 First designed in 1927 by Ralph Walker, the structure will be a sister/wife building to Chelsea’s Walker Tower, also a collaboration by JDS and PMG. Stella Tower is named after Walker’s wife. In 2011, the developers paid just over $20 million for 101,000 square feet of the Verizon property, including the penthouse, lobby and the 10th through 17th floors, The Real Deal reported. Cetra/Ruddy is designing the conversion. Amenities will include a lounge, fitness center, residential storage and bicycle storage. Douglas Elliman is marketing the property.